Take time to develop your skills and use our tables, molds, wheels, glazes, kilns and more! Drop-in is open to ACNO members aged 17+ whenever studios are not in use by a class. 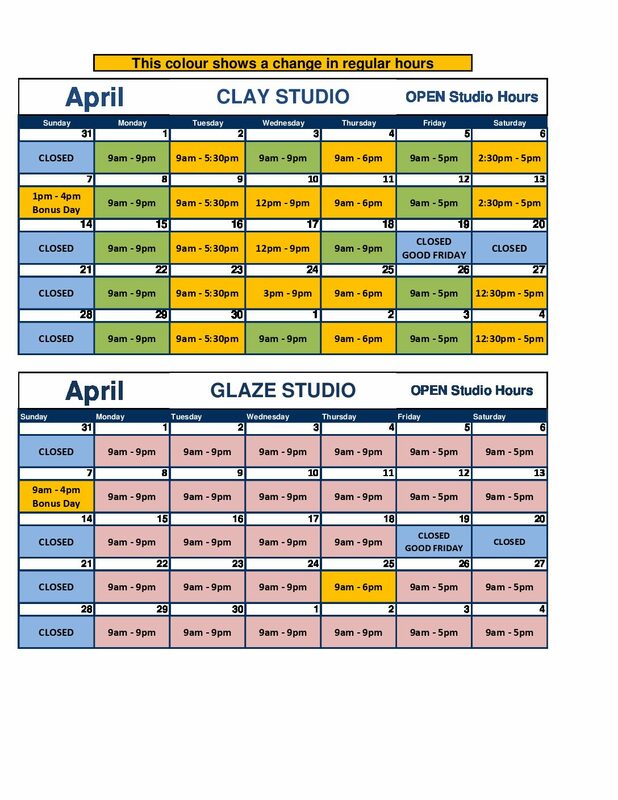 For safety reasons, those who have never experienced clay must take a class before being eligible for drop-in. For those who are experienced in glass or clay, but have never used the Arts Centre studios before, an orientation can be arranged for a small fee (you must be able to prove proficiency to our Studio Technicians previous to starting drop-ins). Interested in learning more about clay? Check out the classes we offer. Youth Drop-In Fee (per 3 hour session): $4.00 **Youth can used the designated family area when accompanied by a qualified adult.